Part of the reason I love photographing Disney castles at night is because it gives me the opportunity to contrast the daytime crowds and hustle and bustle with nighttime peace and tranquility after everyone has left the parks. It's a beautiful respite from the daily operations, and with just the castle in the view, it also serves as a memory of having the park all to myself. Not literally, of course, but it's nice to feel that way! 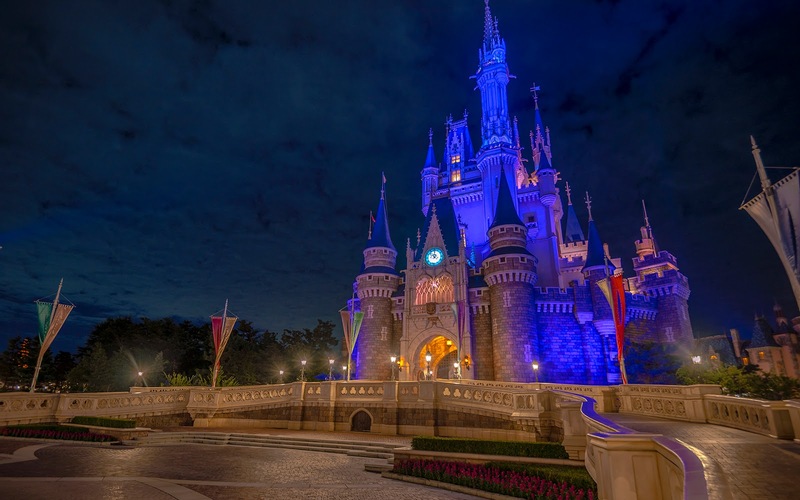 Cinderella Castle after hours at Tokyo Disneyland.